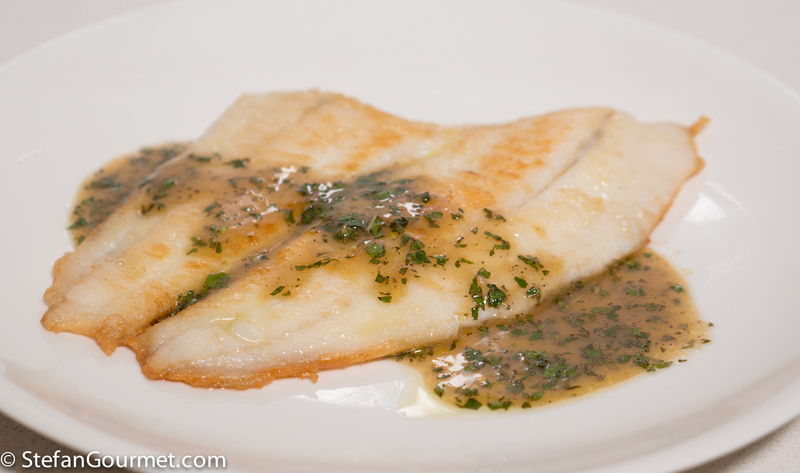 Turbot is one of my favorite kinds of fish. It has a great texture and delicate flavor. In this simple preparation it is served with a mint sauce, inspired by Biba Caggiano. 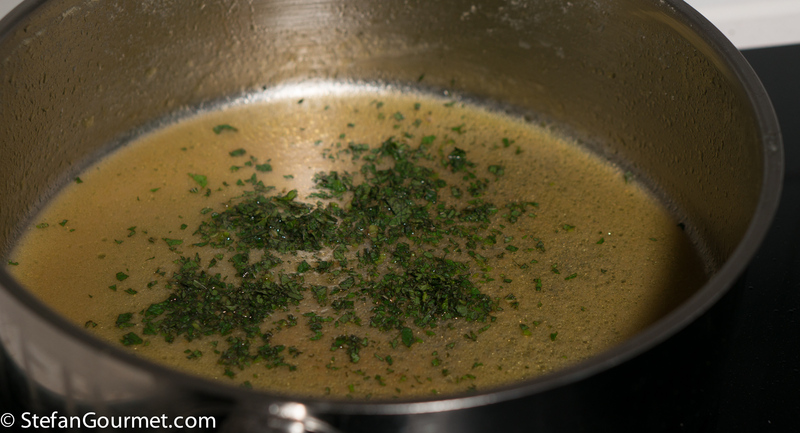 I made the fish stock for the sauce with the head and bones of the turbot itself. 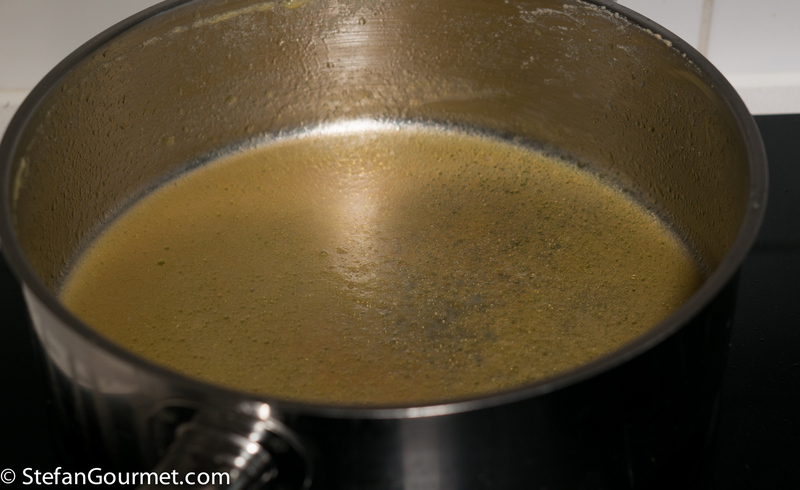 The fish stock is important, as it will give body to the sauce. 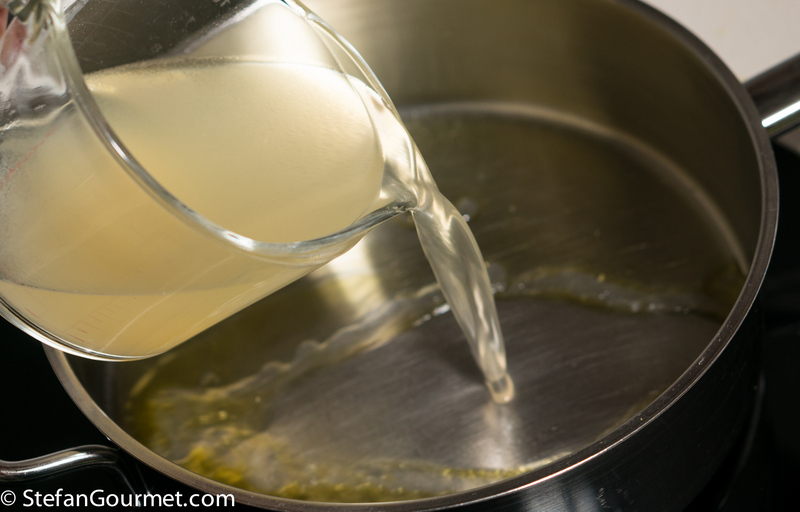 It is also important to use good quality white wine vinegar and a good dry white wine. 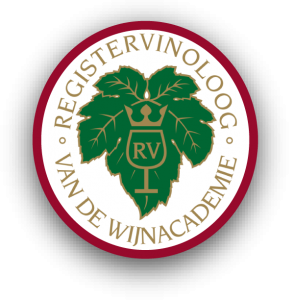 If the wine is bad, it will only get worse if reduced as in this recipe. 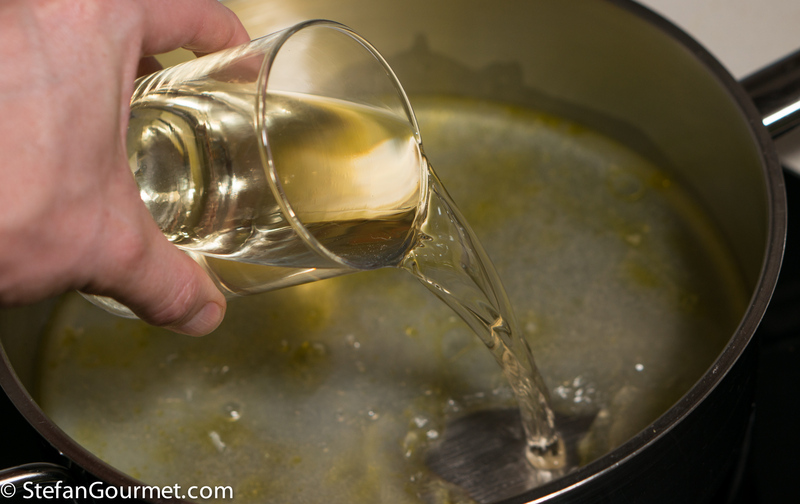 This doesn’t mean you should use a great white wine, as any delicate aromas will be lost in the cooking. 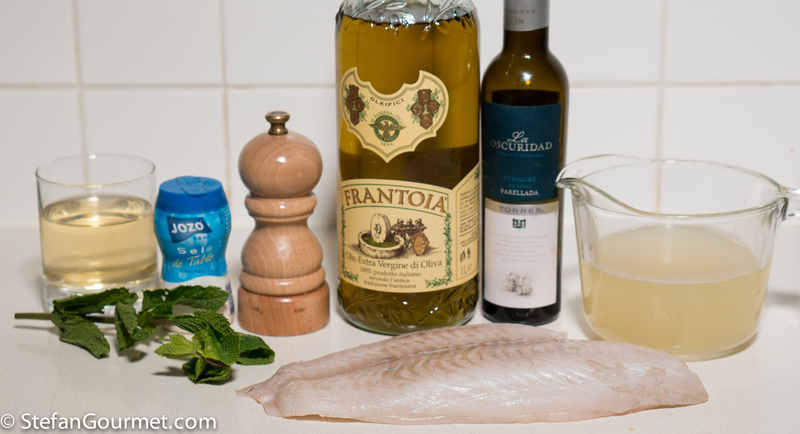 You could use this recipe for other types of flatfish like sole, flounder, or plaice. 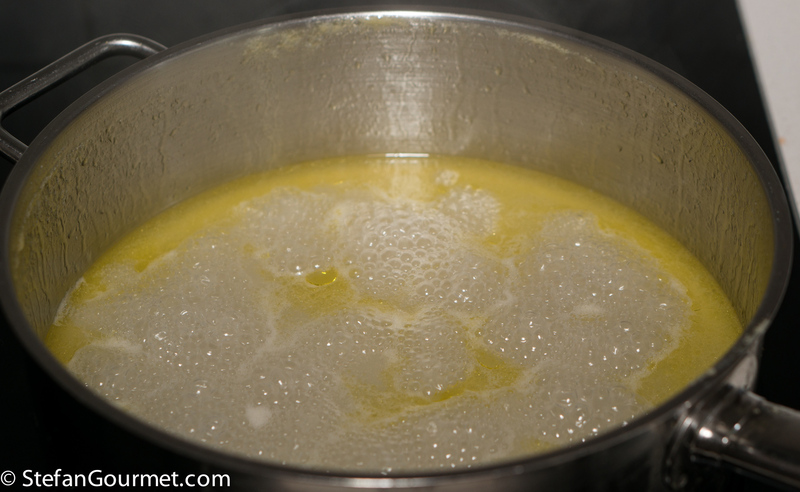 Heat 2 tablespoons of extra virgin olive oil in a frying pan. 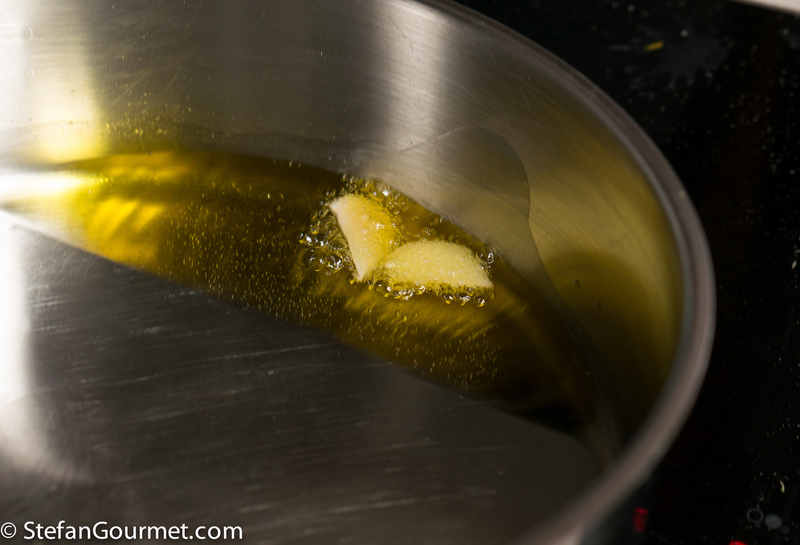 Add the garlic clove, peeled and halved, and tilt the pan to flavor the oil with the garlic. 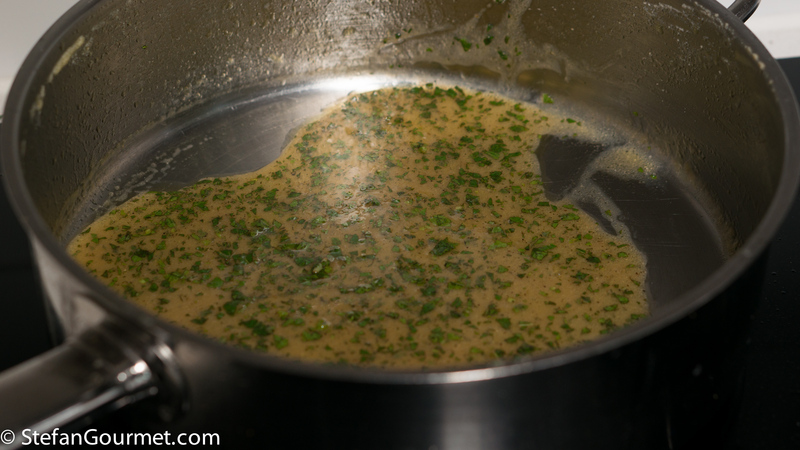 Discard the garlic as soon as it is golden. Allow to reduce over medium heat. 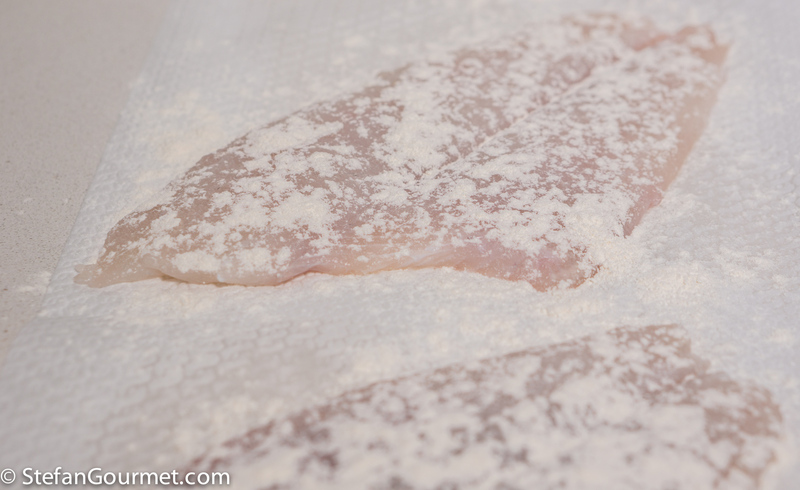 In the meantime, season the fish with salt and dust with flour on both sides. 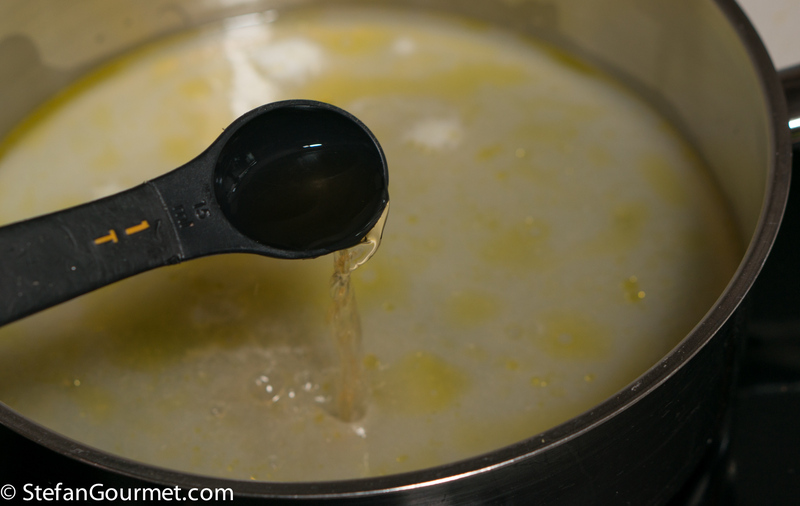 Heat olive oil in a non-stick pan. 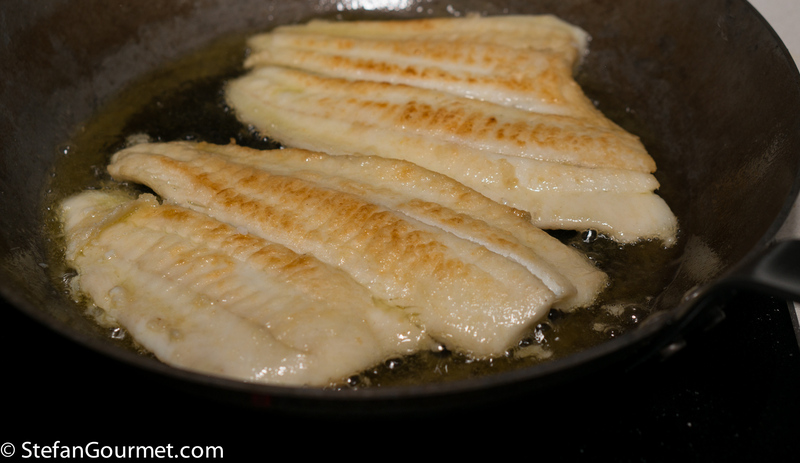 Cook the fish in the hot oil until golden on both sides and just cooked through, 1 to 2 minutes per side. In the meantime, the sauce should be reduced. Season to taste with salt and freshly ground black pepper. Serve the fish on preheated plates with the sauce. 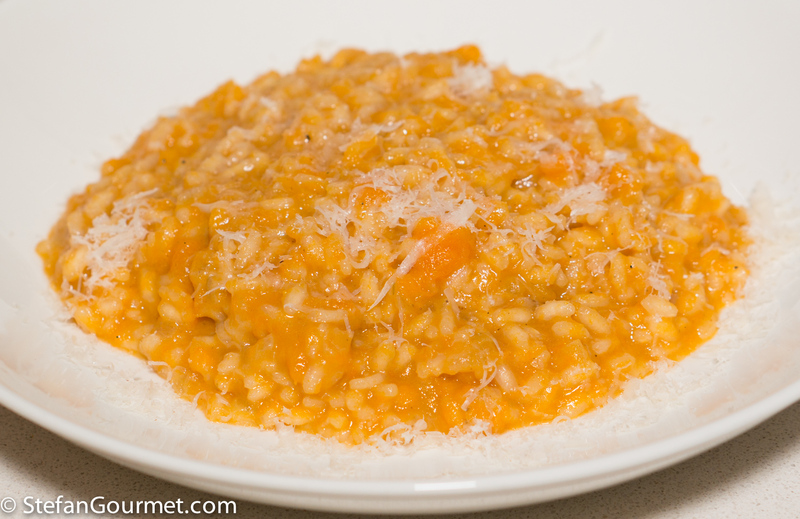 This butternut squash risotto is simple but tasty. Sounds delicious. If people knew just how good homemade stock is compared to store bought, they would never buy it again, there is just no comparison. I spent the last couple of days cooking and reducing down beef stock. In less than two ice cube trays, I have the equivalent of 4 liters of great beef stock. So worth the effort. Stefan, that is indeed a lovely looking plate of food. The sheen on the sauce is excellent. Fascinating ! Mint is one of the most popular herbs in Australia but traditionally served with lamb: mint sauce or jelly . . . I have never used it with fish but am dying to try . . . .
I’ve never had turbot and the mint sauce looks intriguing; here it’s only served with lamb. I’ve never had a mint sauce with fish. Sounds interesting.